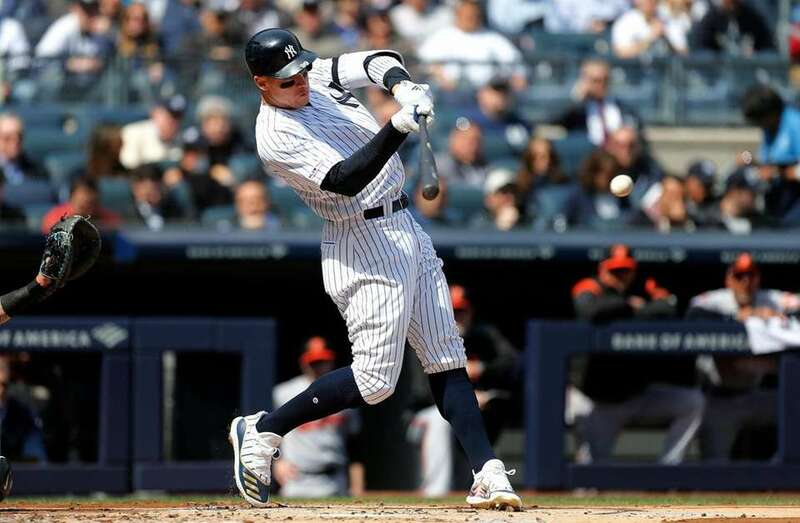 The Yankees beat the Baltimore Orioles, 7-2, on Opening Day Thursday at Yankee Stadium. Orioles rightfielder Joey Rickard makes a fly ball catch on a ball hit by the Yankees' Gary Sanchez in the bottom of the fifth inning at Yankee Stadium on Thursday. 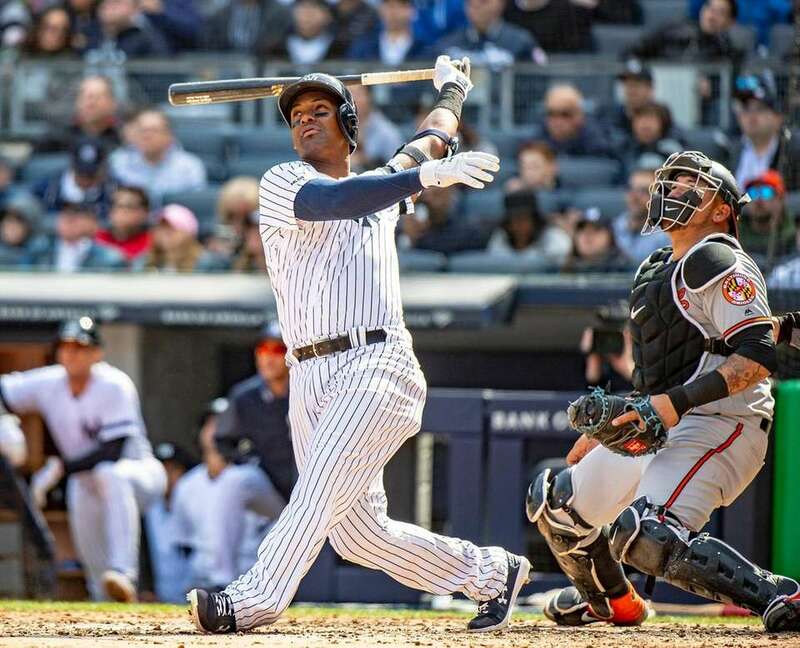 Yankees third baseman Miguel Andujar hits a sacrifice fly against the Orioles in the bottom of the fifth inning at Yankee Stadium on Thursday. Yankees rightfielder Aaron Judge follows through on a third-inning infield single against the Orioles on Opening Day at Yankee Stadium on Thursday. 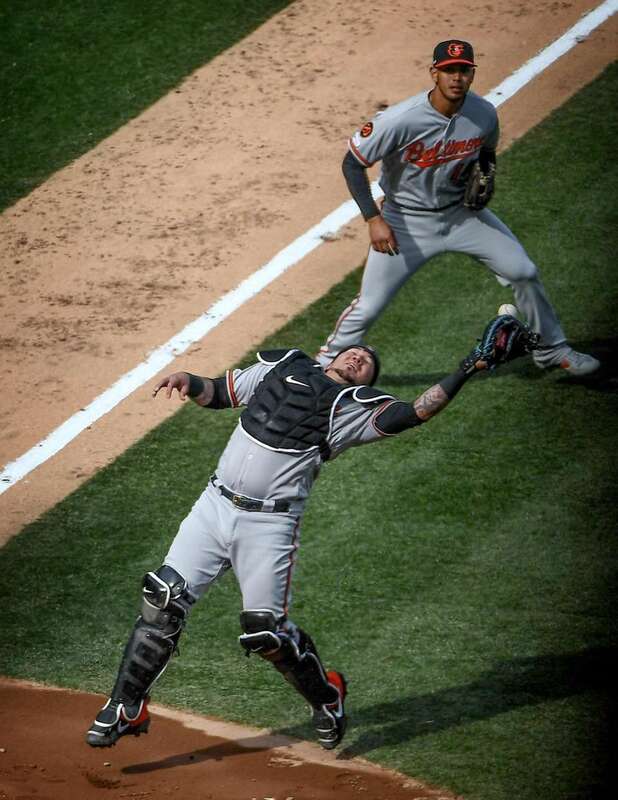 Baltimore Orioles catcher Jesus Sucre drops a pop-up hit by Yankees catcher Gary Sanchez in the 7th inning of on Opening Day on the March 28, 2019 at Yankee Stadium. 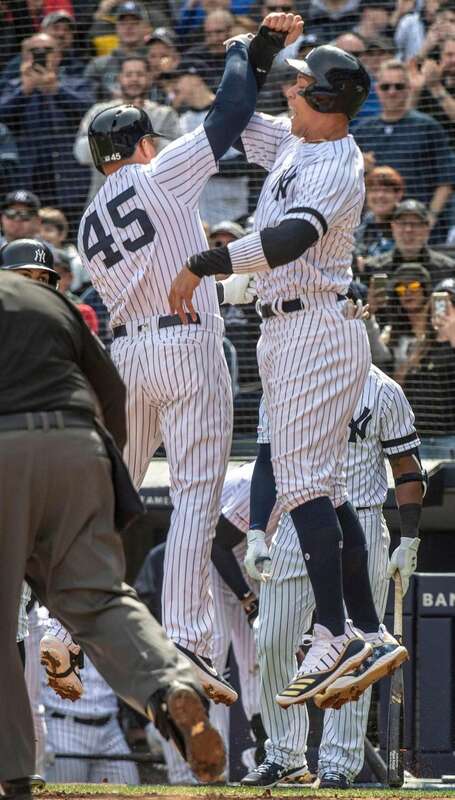 Yankees DH Luke Voit, left, and Aaron Judge celebrate Voit's three-run home run against the Orioles in the bottom of the first inning of an Opening Day game at Yankee Stadium on Thursday. 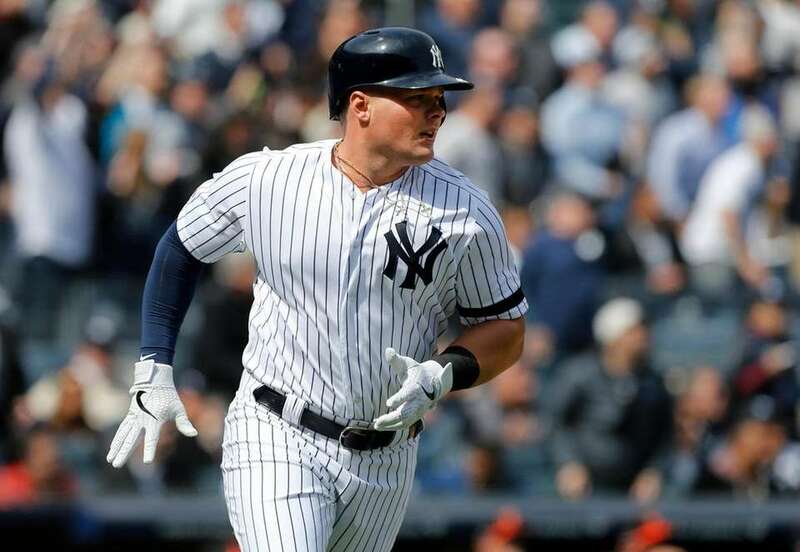 Yankees DH Luke Voit runs out his three-run home run in the first inning on Opening Day against the Orioles at Yankee Stadium on Thursday. 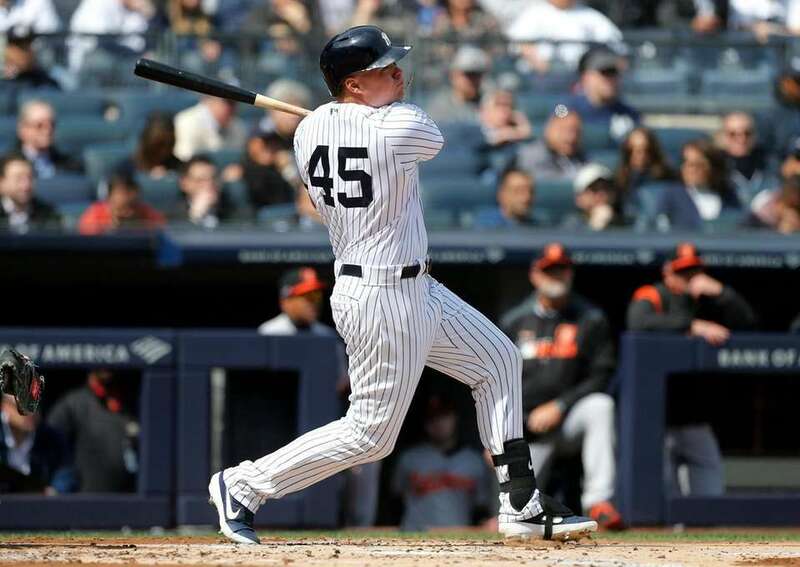 Yankees DH Luke Voit follows through on his three-run home run in the first inning on Opening Day against the Orioles at Yankee Stadium on Thursday. 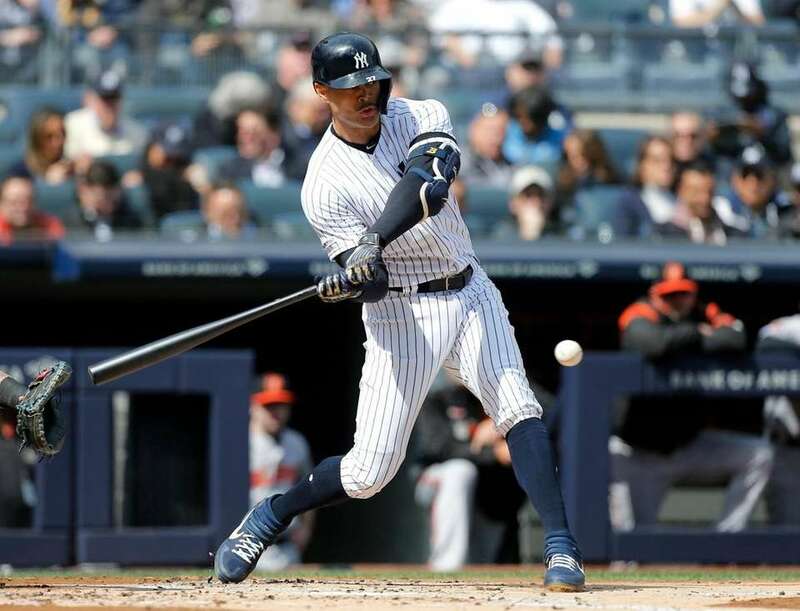 Yankees leftfielder Giancarlo Stanton connects on a base hit during the first inning against the Orioles on Opening Day at Yankee Stadium on Thursday. 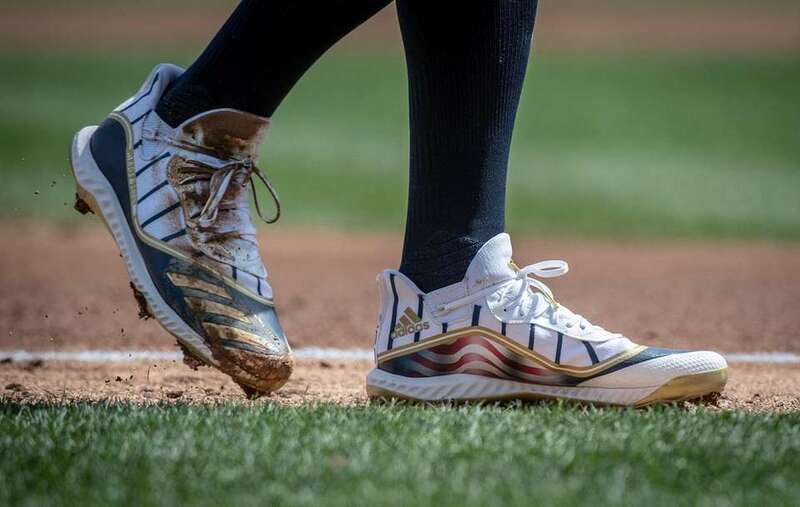 Yankees rightfielder Aaron Judge takes a lead off of third base during the Opening Day game against the Orioles at Yankee Stadium Thursday. 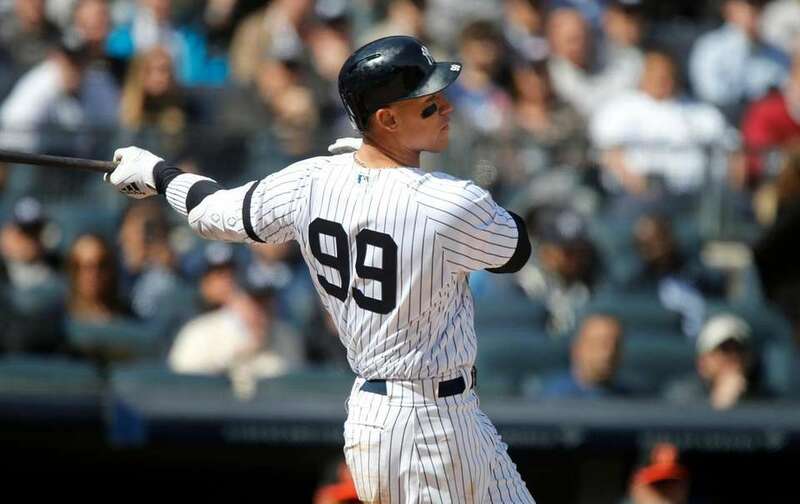 Yankees rightfielder Aaron Judge connects on a base hit during the first inning against the Orioles on Opening Day at Yankee Stadium on Thursday. 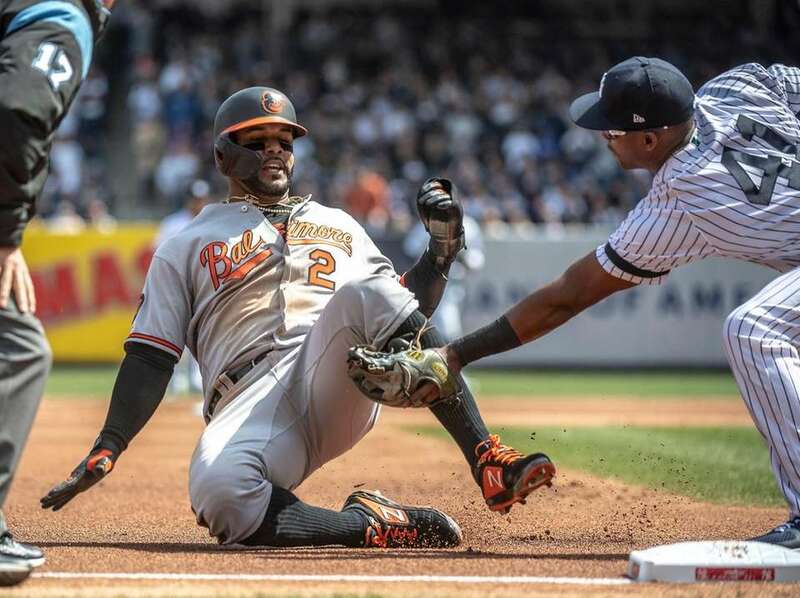 Yankees third baseman Miguel Andujar tags out the Orioles' Jonathan Villar at third to end the first inning at Yankee Stadium on Thursday. 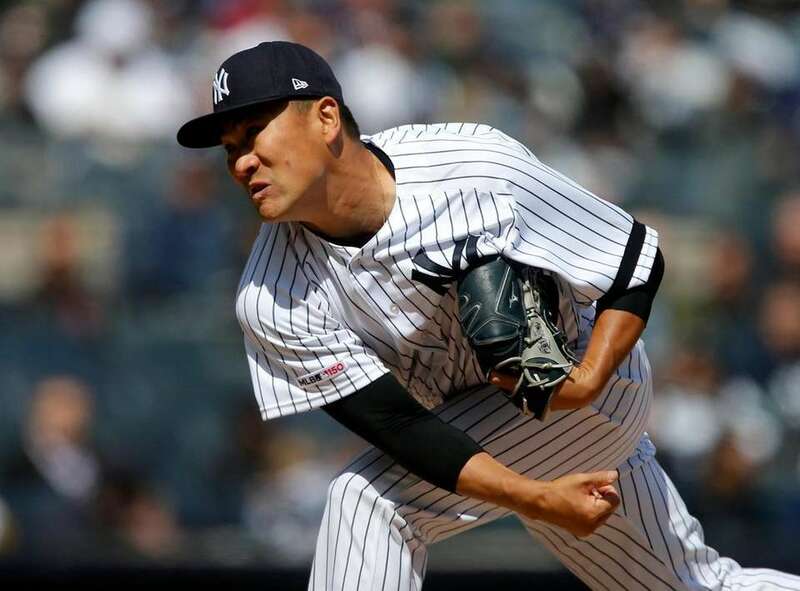 Yankees pitcher Masahiro Tanaka delivers during the first inning against the Orioles on Opening Day at Yankee Stadium on Thursday. 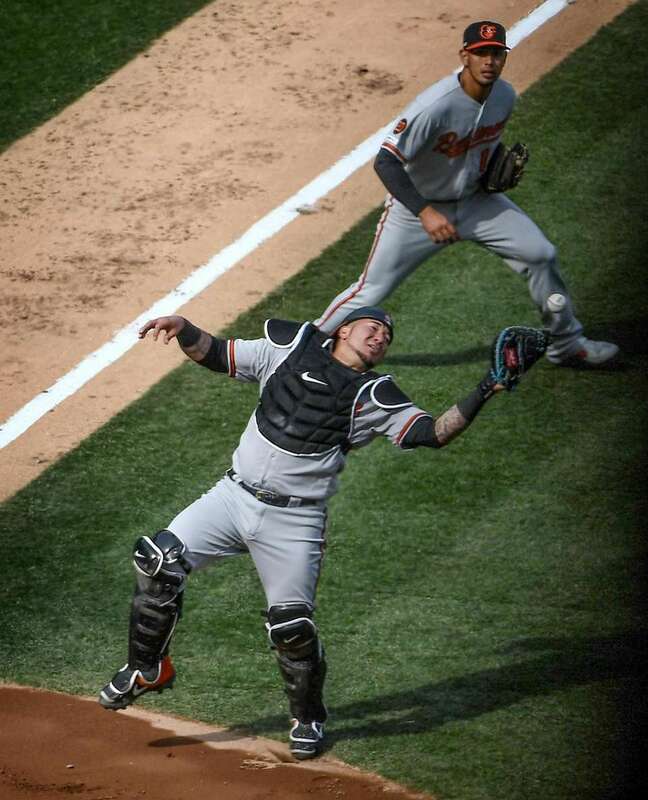 Baltimore Orioles catcher Jesus Sucre drops a pop fly ball hit by New York Yankees Gary Sanchez in the 7th inning of the Yankees Home opener against the Baltimore Orioles at Yankee Stadium on the afternoon of March 28, 2019. 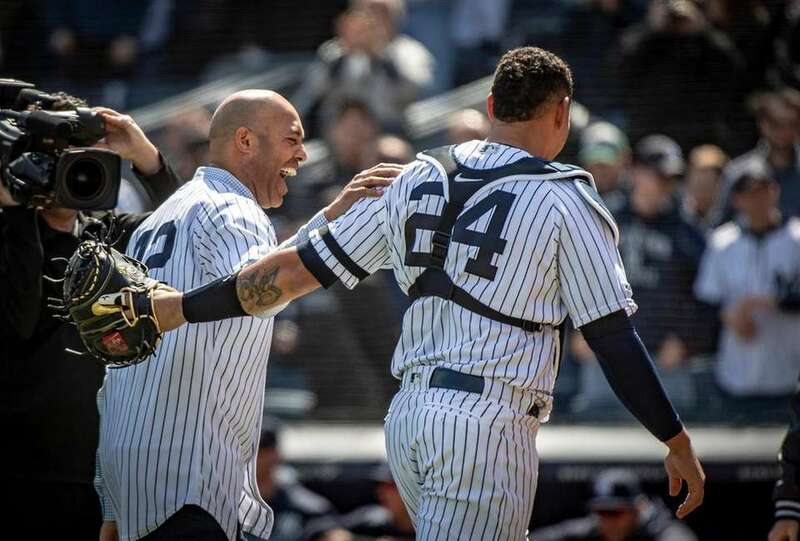 Former Yankees closer Mariano Rivera leaves the field with catcher Gary Sanchez after throwing out the ceremonial first pitch before the start of the Opening Day game against the Orioles at Yankee Stadium on Thursday. 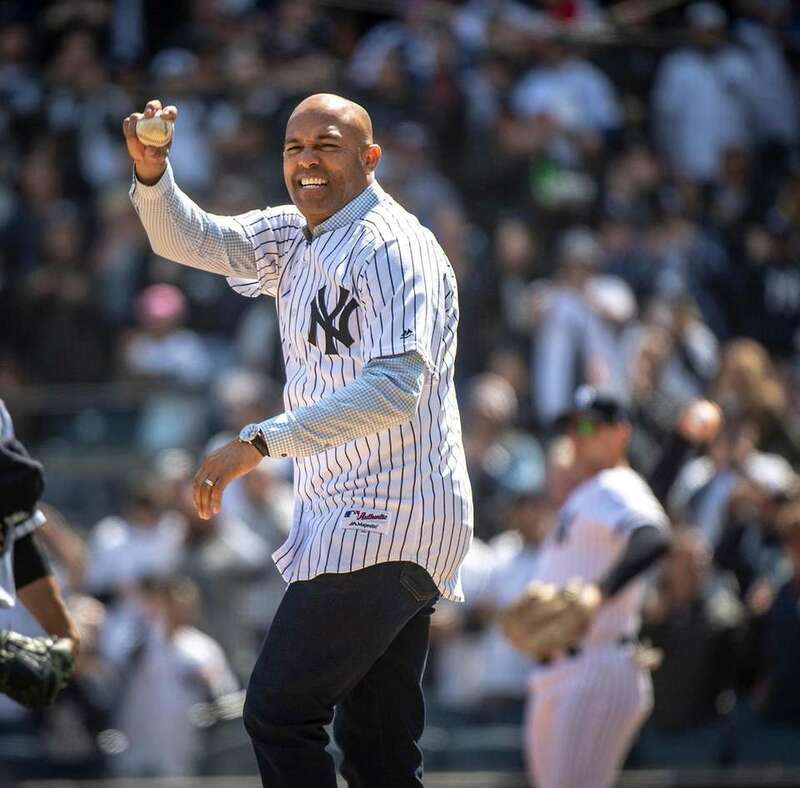 Former Yankees closer Mariano Rivera throws out the ceremonial first pitch before the start of the Opening Day game against the Orioles at Yankee Stadium on Thursday. 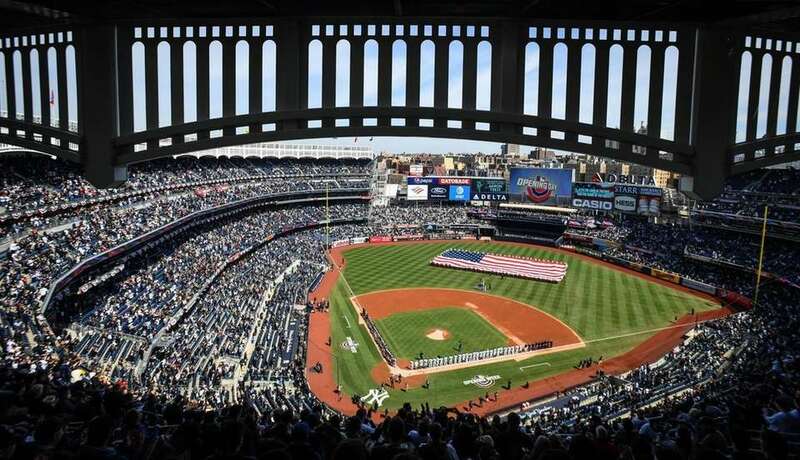 The Yankees and Orioles line up during the singing of the national anthem on Opening Day at Yankee Stadium on Thursday. 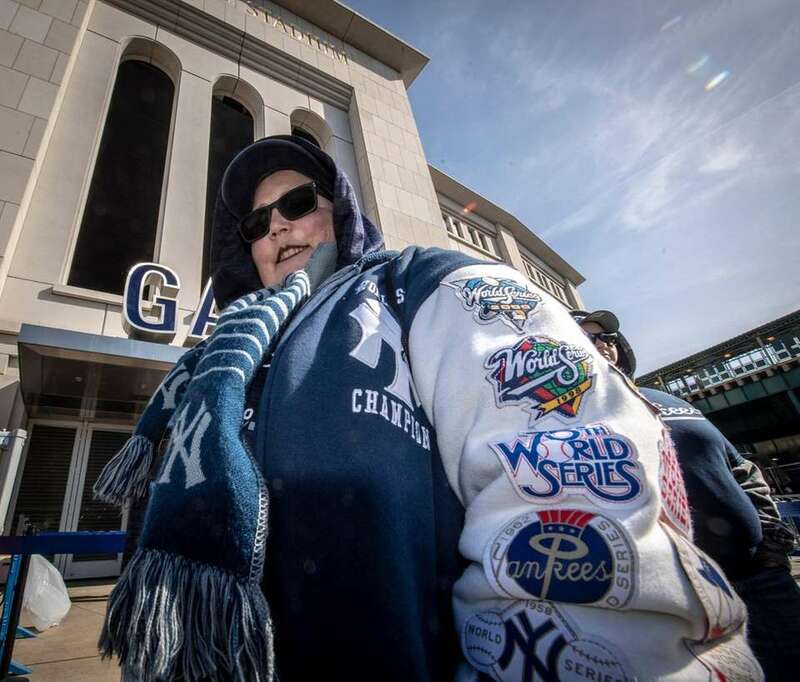 Maria Faduzza of Brooklyn sports her Yankees jacket while waiting to enter before the start of the Yankees-Orioles Opening Day game at Yankee Stadium on Thursday. 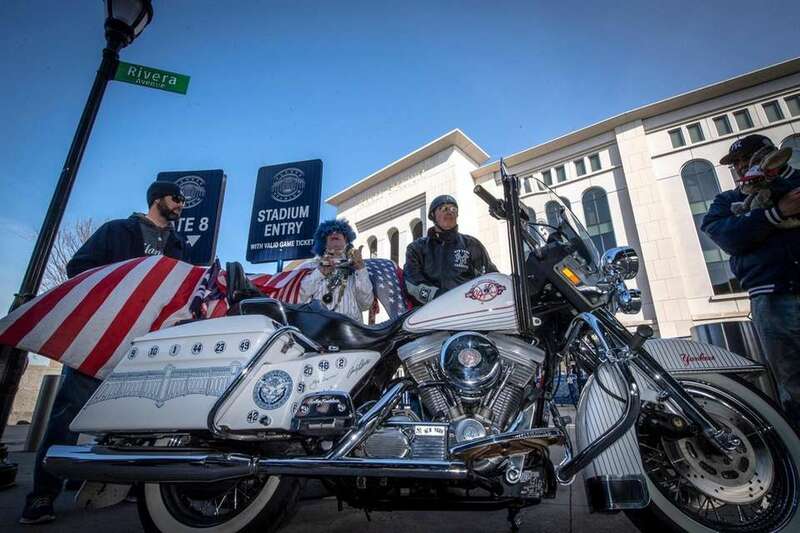 Lenny Love, left, with Peter Anderson of West Hampton Beach, behind his 1989 Harley Davidson Electric Glide outside Yankee Stadium before the start of Yankees-Orioles on Opening Day on Thursday. 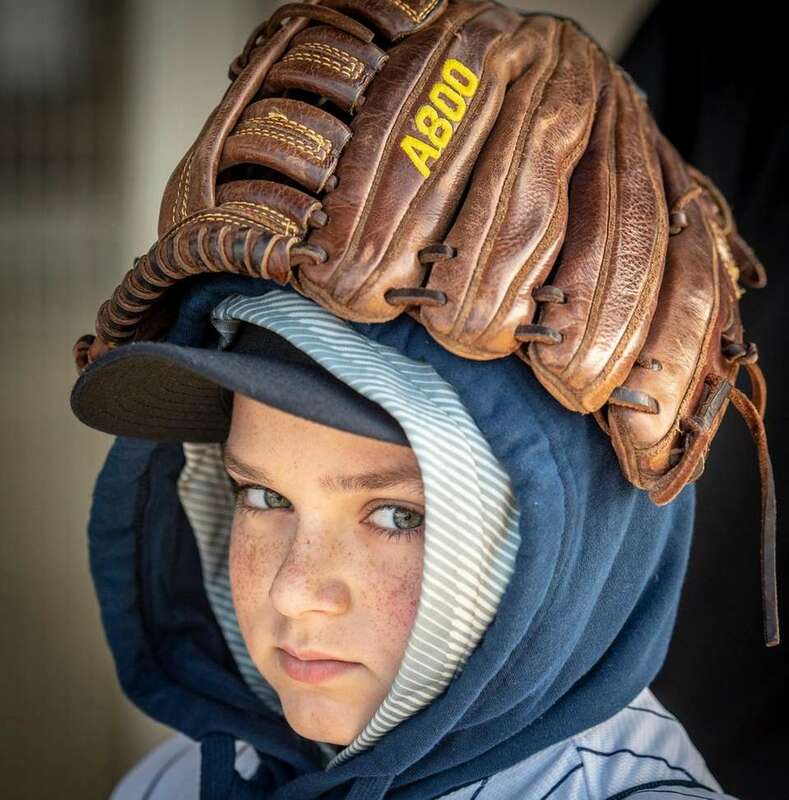 Yankees fan Tyler Moroni, 11, of Yonkers waits to get into the stadium for the start of the Yankees-Orioles Opening Day game at Yankee Stadium on Thursday. 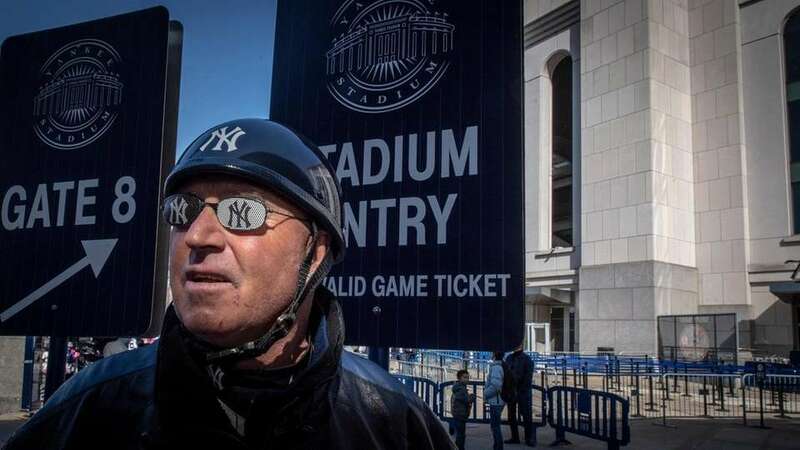 Yankees fan Peter Anderson before the start of the Yankees-Orioles Opening Day game at Yankee Stadium on Thursday. 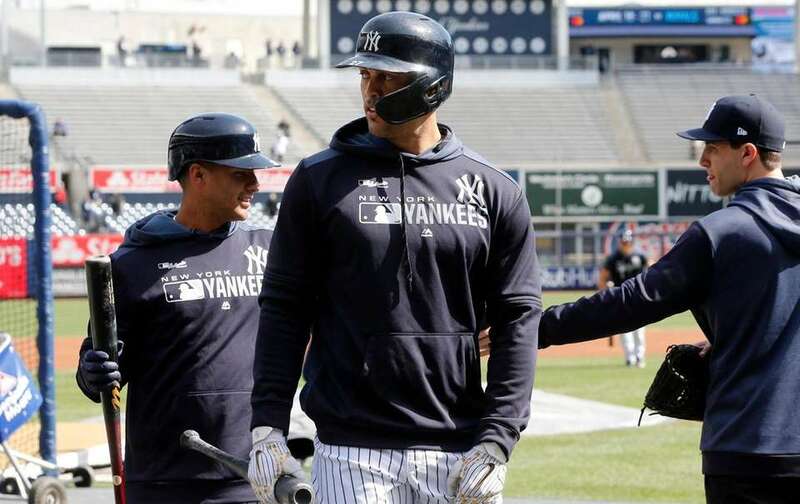 Yankees leftfielder Giancarlo Stanton looks on during batting practice before the Opening Day game against the Orioles at Yankee Stadium on Thursday. 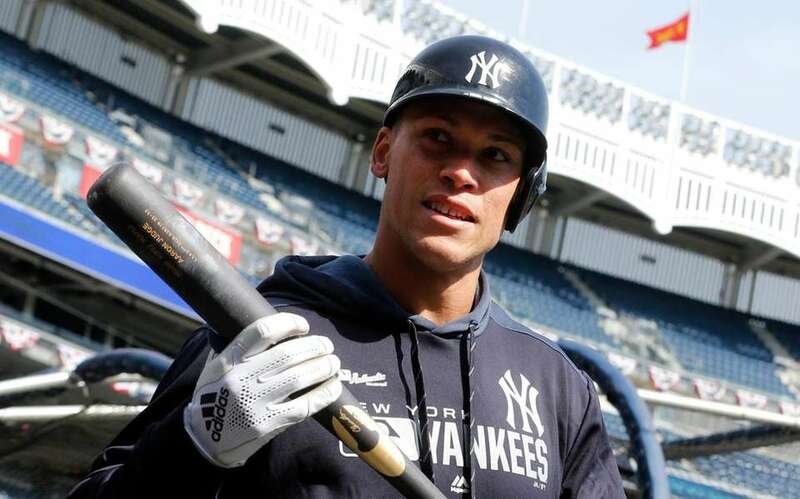 Yankees rightfielder Aaron Judge looks on during batting practice before the Opening Day game against the Orioles at Yankee Stadium on Thursday. 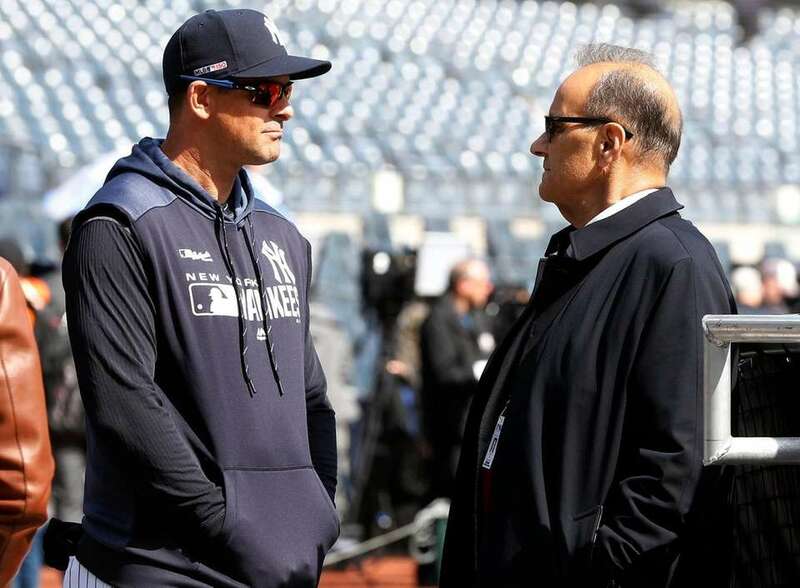 Yankees manager Aaron Boone talks with former manager Joe Torre before the Opening Day game against the Orioles at Yankee Stadium on Thursday. 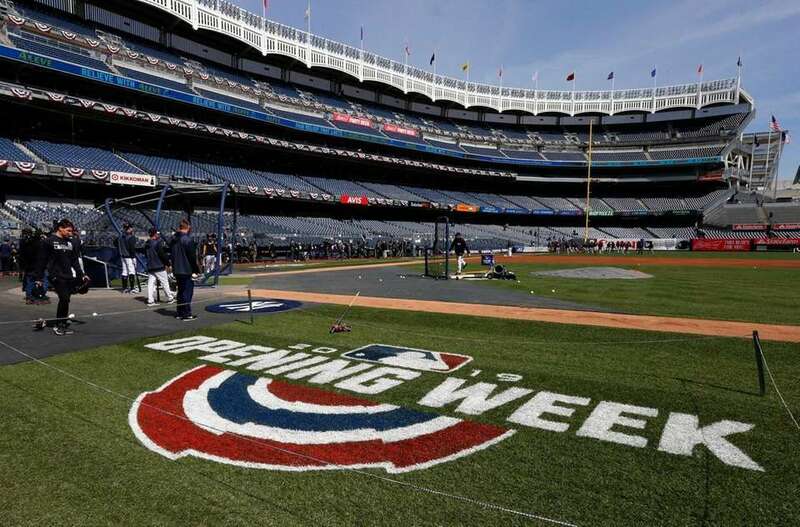 The Yankees take batting practice before their Opening Day game against the Orioles at Yankee Stadium on Thursday.